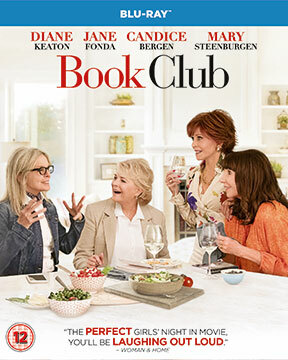 You’ve certainly got to hope that with a cast including Diane Keaton, Jane Fonda, Candice Bergen, and Mary Steenburgen, Book Club will be a lot of fun. 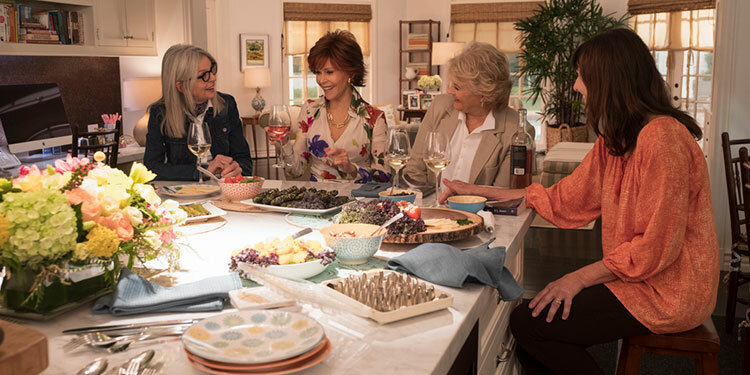 It’s also got a potentially fun concept, with the quartet of actress playing friends who’ve started a book club to improve their minds. However, they get more than expected when they start reading 50 Shades Of Grey, which opens their minds to new possibilities. Craig T. Nelson, Andy Garcia and Don Johnson also star in the movie, which is due in cinemas in May. The wonderful Bette Midler, Goldie Hawn & Diane Keaton are getting back together on screen for the first time in 20 years, but some of you will be sad to learn it’s not for a sequel to 1996’s The First Wives Club. It also won’t be heading to cinemas, as Netflix has bought up Divanation, with the three ladies all set to star. Deadline reports that the ladies will star, ‘as members of a once-popular singing group forced to reconnect after their volatile split and 30 year estrangement’. Unfortunately there’s no more info than that, but I think it’s safe to say that with this trio on-screen together, sparks will fly. Netflix’s move is seen as further demonstration of it’s commitment to trying to broaden the demographic of its subscribers, as after the success of the likes of Grace & Frankie – which focussed on women in mid-to-later life – it’s commited to Our Souls At Night with Robert Redford and Jane Fonda starring, and now Midler, Hawn & Keaton in Divanation. While Netflix has proved extremely popular with younger people, it’s only now making inroads into older generations, which it needs if it’s going to continue its impressive growth. How do you make a Father Of The Bride movie without a bride? As a result, don’t be surprised if the film changes its name to Father Of The Groom, but a third movie in the Steve Martin franchise is being planned, which will revolve around his gay son. According to nikkifinke.com, a follow up to 1991’s Father Of The Bride and its 1995 sequel is in the works, which will see Steve Martin back as George Banks. While the first two movies followed Banks as he gave away his daughter and then had to learn to accept that she was now a woman, the third instalment will shift the focus to his son, Matty (originally played by Kieran Culkin), who’s now 29 and lets his parents know he intends to marry the son of a Navy SEAL. George is apparently “thunderstruck and speechless”, as he’s not a big fan of all things gay. However in a show of solidarity with her child, George’s reaction results in his wife Nina (Diane Keaton) kicking him out of the house. There are rights issues to be sorted, as while Disney/Touchstone made the 1991 and 1995 movies, Warner Bros now owns the original 1950 Father Of The Bride, starring Spencer Tracy, that the Steve Martin films were based on. Disney is apparently keen to make the new film and are currently trying to get the rights issues straightened. And with more and more US States allowing gay people to get married, it may allow them to catch the Zeitgeist (if the film is good). Assuming everything is sorted out, original director and co-writer Charles Shyer will return to helm this third movie. 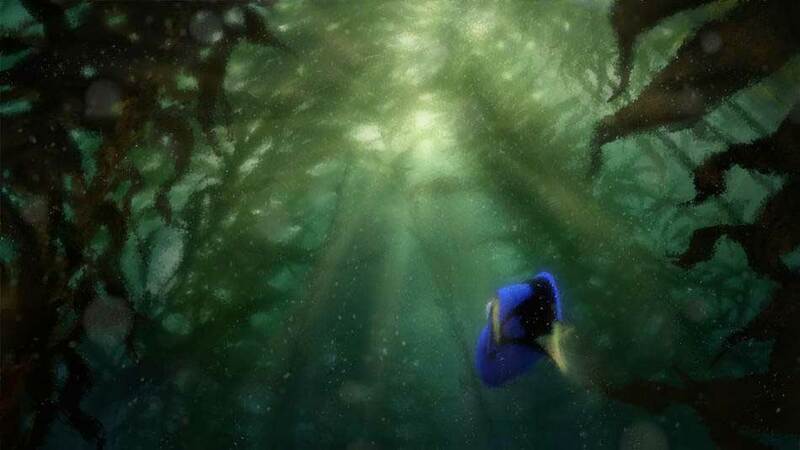 We already knew that Ellen DeGeneres was coming back for the Finding Nemo sequel, Finding Dory, but now she’s got some company, as at D23, Disney has revealed that Albert Brooks will also be back as the voice of Marlin. Diane Keaton is also onboard as the voice of Dory’s mom Jenny, Eugene Levy is Dory’s dad Charlie, and Modern Family star Ty Burrell will be Bailey. It certainly seems it’ll be a bit of a family affair for Dory. Not much has been released about the actual plot, although it has been revealed that they’re currently altering the ending in the wake of controversy over the treatment of killer whales at aquatic parks the has erupted sinxe the release of the documentary Blackfish. The ending will still apparently take place at a park, but it’ll be a place where the creatures have the choice to leave. The film is currently due out November 25th, 2015. Take a look at a new concept art pic above. Hollywood slowly seems to be realising that those who are over 60 are people too, and has stepped up the amount of movies made about them, which is good news for Michael Douglas and Diane Keaton, who are teaming up with director PJ Hogan (Peter Pan) for the romantic comedy And So It Goes. Based on Mark Andrus’ (Georgia Rule) script, the movie is about a self-centered realtor (Douglas) whose life spins out of control when his son unexpectedly drops off a granddaughter for him to look after, even though he’s never met the little girl before. The newly appointed guardian seeks out the help of his daffy neighbour (Keaton), and as you might expect, the two seniors soon fall in love. Hollywood adores movies about weddings, even though most of them are god-awful. However at least The Big Wedding has a decent cast, even if the trailer doesn’t make it seem all that good. Robert DeNiro, Katherine Heigl, Diane Keaton, Amanda Seyfried, Topher Grace, Susan Sarandon and Robin Williams star in what’s described as ‘an uproarious romantic comedy about a charmingly modern family trying to survive a weekend wedding celebration that has the potential to become a full blown family fiasco. To the amusement of their adult children and friends, long divorced couple Don and Ellie Griffin (De Niro and Keaton) are once again forced to play the happy couple for the sake of their adopted son’s wedding after his ultra conservative biological mother unexpectedly decides to fly halfway across the world to attend. With all of the wedding guests looking on, the Griffins are hilariously forced to confront their past, present and future – and hopefully avoid killing each other in the process. Screenplay by Justin Zackham. Directed by Justin Zackham.’ It hits UK cinemas November 9th.